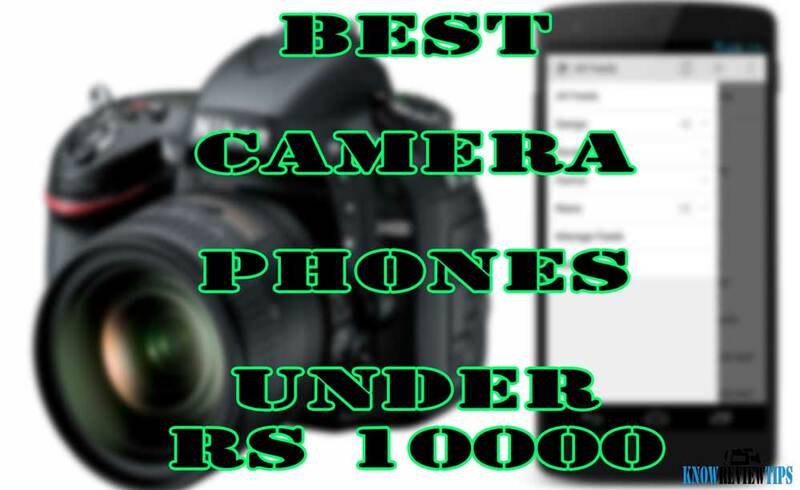 Here is the list of best camera android phones under 10000 RS in India or USD $150. You can easily decide the best phone according to your preferences. THESE LIST IS BASED ON SPECIFICATIONS, not on Actual CAMERA Reviews or TEST. Smartphones are very important and we use them in many places like capturing notes in class, watching cartons, taking selfies, playing games , apart from communication. Infocus M530 features a 5.5inch 1280 x 720 pixels IPS display. It draws the strength from 1.7 GHZ Octa-core CPU and 2GB of RAM. It is equipped a 13MP rear cam and a 13 Megapixel front camera for selfies. It has 3100mah battery. The M530 comes with 16 Gigs of ROM . It is a DUAL SIM smartphone with 4G LTE connectivity. It is priced at RS 9999. Lenovo Vibe K6 Power K33A42 comes with a 5.0inch 1080 x 1920 pixels IPS LCD screen. It is powered by 1.4 GHZ Octa-core CPU integrated with 3Gigs of RAM. It owns a 13Megapixel primary camera and a 8MP secondary camera. It is equipped with massive 4000mah battery. The Vibe K6 Power K33b37 comes with 32GB of inbuilt storage and is 9.3 mm thick. It is a DUAL SIM smartphone with 4G LTE connectivity. The specs also includes Fingerprint scanner. You can buy it at INR 9999. LYF Water F1s LS-5201 features a 5.5inch 1080 x 1920 pixels IPS LCD display. It draws the strength from 1.8 GHZ Octa-core CPU and 3GB of RAM. It is equipped a 16MP rear cam and a 8 Megapixel front camera for selfies. It is equipped with massive 4060mah battery. The Water F1s LS-5201 comes with 32 Gigs of ROM and is 8.2 mm thick. It is a DUAL SIM smartphone with 4G LTE connectivity. Apart from the above specs it also features infrared sensor and Fingerprint scanner. It is priced at RS 9599. YU Yureka BLACK YU5040 features a 5.0inch 1080 x 1920 pixels IPS LCD display. It draws the strength from 1.4 GHZ Octa-core CPU and 4GB of RAM. It is equipped a 13MP rear cam and a 8 Megapixel front camera for selfies. It has 3000mah battery. The Yureka BLACK YU5040 comes with 32 Gigs of ROM and is 8.7 mm thick. It is a DUAL SIM smartphone with 4G LTE connectivity. The specs also includes Fingerprint scanner . It is priced at RS 9000. Gionee S8 Elife features a 5.5inch 1080 x 1920 pixels AMOLED pressure sensitive 3D display. It draws the strength from 1.9 GHZ Octa-core CPU and 4GB of RAM. It is equipped a 16MP rear cam and a 8 Megapixel front camera for selfies. It has 3000mah battery. The Elife S8 comes with 64 Gigs of ROM and is 7 mm thick. It is a DUAL SIM smartphone with 4G LTE connectivity. The specs also includes , Laser Auto focus and Fingerprint scanner. It is priced at RS 3499. Huawei Honor 5C features a 5.2inch 1080 x 1920 pixels IPS LCD display. It draws the strength from 2 GHZ Octa-core CPU and 2GB of RAM. It is equipped a 13MP rear cam and a 8 Megapixel front camera for selfies. It has 3000mah battery. The Honor 5c NEMUL10 comes with 16 Gigs of ROM and is 8.3 mm thick. It is a DUAL SIM smartphone with 4G LTE connectivity. Not just that, it also holds on Fingerprint scanner . It is priced at RS 8999. Huawei Y6 II CAM-L32 comes with a 5.5inch 720 x 1280 pixels IPS LCD screen. It is powered by 1.5 GHZ Octa-core CPU coupled with 2Gigs of RAM. It owns a 13Megapixel primary camera and a 8MP secondary camera. It houses 3100mah battery. The Y6II CAM-L32 comes with 16GB of inbuilt storage and is 8.5 mm thick. It is a DUAL SIM smartphone with 4G LTE connectivity. You can buy it at INR 7999. Infocus M535 features a 5.5inch 1280 x 720 pixels IPS display. It draws the strength from 1.5 GHZ Quad-core CPU and 2GB of RAM. It is equipped a 13MP rear cam and a 8 Megapixel front camera for selfies. It has 2600mah battery. The M535 comes with 16 Gigs of ROM and is 6.9mm slim in terms of thickness. It is a DUAL SIM smartphone with 4G LTE connectivity. It is priced at RS 9999. InFocus M330 comes with a 5.5inch 720 x 1280 pixels IPS screen. It is powered by 1.7 GHZ Octa-core CPU integrated with 2Gigs of RAM. It owns a 13Megapixel primary camera and a 8MP secondary camera. It houses 3100mah battery. The M330 comes with 16GB of onboard storage . It is a DUAL SIM smartphone with 3G connectivity. You can buy it at INR 9999. Swipe ELITE features a 5inch 720 x 1280 pixels 2.5D Cured display. It draws the strength from 1.3 GHZ Quad-core CPU and 2GB of RAM. It is equipped a 13MP rear cam and a 8 Megapixel front camera for selfies. It has 2500mah battery. The ELITE comes with 16 Gigs of ROM . It is a DUAL SIM smartphone with 3G connectivity. It is priced at RS 5999. Huawei Honor 4C features a 5.0inch 720 x 1280 pixels IPS display. It draws the strength from 1.2 GHZ Octa-core CPU and 2GB of RAM. It is equipped a 13MP rear cam and a 5 Megapixel front camera for selfies. It has 2550mah battery. The Honor 4C comes with 8 Gigs of ROM . It is a DUAL SIM smartphone with 3G connectivity. It is priced at RS 8999. Micromax Canvas Nitro 3 E352 comes with a 5.0inch 720 x 1280 pixels IPS LCD screen. It is powered by 1.4 GHZ Octa-core CPU coupled with 2Gigs of RAM. It owns a 13Megapixel primary camera and a 5MP secondary camera. It houses 2500mah battery. The Canvas Nitro-3 E352 comes with 16GB of onboard storage and is 8.7 mm thick. It is a DUAL SIM smartphone with 3G connectivity. You can buy it at INR 7499. Alcatel Flash Plus 2 features a 5.5inch 1080 x 1920 pixels IPS LCD display. It draws the strength from 1.5 GHZ Octa-core CPU and 3GB of RAM. It is equipped a 13MP rear cam and a 5 Megapixel front camera for selfies. It has 3000mah battery. The Flash Plus 2 comes with 32 Gigs of ROM and is 8.2 mm thick. It is a DUAL SIM smartphone with 4G LTE connectivity. It also features Fingerprint scanner. It is priced at RS 9999. Coolpad Note 3 Lite comes with a 5inch 1280 x 720 pixels IPS screen. It is powered by 1.3 GHZ Quad-core CPU coupled with 3Gigs of RAM. It owns a 13Megapixel primary camera and a 5MP secondary camera. It houses 2500mah battery. The Dazen Note-3 Lite comes with 16GB of onboard storage and is 8.9mm thick. It is a DUAL SIM smartphone with 4G LTE connectivity. Not just that, it also holds on Fingerprint scanner. You can buy it at INR 6999. Intex Aqua Trend features a 5inch 1280 x 720 pixels IPS display. It draws the strength from 1.3 GHZ Quad-core CPU and 2GB of RAM. It is equipped a 13MP rear cam and a 5 Megapixel front camera for selfies. It has 3000mah battery. The Aqua Trend comes with 16 Gigs of ROM . It has 4G LTE support. It is priced at RS 9999. Lenovo K3 Note K50-T5 comes with a 5.5inch 1080 x 1920 pixels IPS screen. It is powered by 1.7 GHZ Octa-core CPU coupled with 2Gigs of RAM. It owns a 13Megapixel primary camera and a 5MP secondary camera. It houses 3000mah battery. The K3 Note K50-T5 comes with 16GB of onboard storage . It is a DUAL SIM smartphone with 4G LTE connectivity. You can buy it at INR 9499. Micromax Canvas Mega E353 comes with a 5.5inch 720 x 1280 pixels IPS LCD screen. It is powered by 1.4 GHZ Octa-core CPU integrated with 1Gigs of RAM. It owns a 13Megapixel primary camera and a 5MP secondary camera. It houses 2820mah battery. The Canvas Mega E353 comes with 8GB of onboard storage and is 8.9 mm thick. It is a DUAL SIM smartphone with 3G connectivity. You can buy it at INR 7999. UMI TOUCH features a 5.5inch 1080 x 1920 pixels IPS LCD display. It draws the strength from 1.5 GHZ Octa-core CPU and 3GB of RAM. It is equipped a 13MP rear cam and a 5 Megapixel front camera for selfies. It is equipped with massive 4000mah battery. The TOUCH comes with 16 Gigs of ROM . It is a DUAL SIM smartphone with 4G LTE connectivity. It also features Fingerprint scanner. It is priced at RS 8999. Vodafone Smart ultra 6 features a 5.5inch 1080 x 1920 pixels IPS display. It draws the strength from 1.5 GHZ Octa-core CPU and 2GB of RAM. It is equipped a 13MP rear cam and a 5 Megapixel front camera for selfies. It has 3000mah battery. The Smart ultra 6 comes with 16 Gigs of ROM and is 8.35mm thick. It has 4G LTE support. It is priced at RS 9999. Intex Aqua 4G+ Plus comes with a 5inch 1280 x 720 pixels IPS screen. It is powered by 1.3 GHZ Quad-core CPU integrated with 2Gigs of RAM. It owns a 13Megapixel primary camera and a 5MP secondary camera. It houses 2300mah battery. The Aqua 4G plus comes with 16GB of onboard storage . It is a DUAL SIM smartphone with 4G LTE connectivity. You can buy it at INR 7299. Videocon Infinium Z55 Krypton features a 5inch 1280 x 720 pixels IPS display. It draws the strength from 1.3 GHZ Quad-core CPU and 1GB of RAM. It is equipped a 13MP rear cam and a 5 Megapixel front camera for selfies. It has 2200mah battery. The Infinium Z55 Krypton comes with 8 Gigs of ROM . It is a DUAL SIM smartphone with 4G LTE connectivity. It is priced at RS 9999. Intex Aqua Power + Plus features a 5.0inch 720 x 1280 pixels IPS display. It draws the strength from 1.3 GHZ Quad-core CPU and 2GB of RAM. It is equipped a 13MP rear cam and a 5 Megapixel front camera for selfies. It is equipped with massive 4000mah battery. The Aqua Power + comes with 16 Gigs of ROM . It is a DUAL SIM smartphone with 3G connectivity. It is priced at RS 8999. BLU Life One X (2016) L0070UU features a 5.2inch 1080 x 1920 pixels IPS LCD display. It draws the strength from 1.3 GHZ Octa-core CPU and 2GB of RAM. It is equipped a 13MP rear cam and a 5 Megapixel front camera for selfies. It has 2900mah battery. The Life One X 2016 Edition L0070UU comes with 16 Gigs of ROM and is 8.6 mm thick. It is a DUAL SIM smartphone with 4G LTE connectivity. It is priced at RS 9999. UMI EMAX comes with a 5.5inch 1080 x 1920 pixels LTPS screen. It is powered by 1.7 GHZ Octa-core CPU integrated with 2Gigs of RAM. It owns a 13Megapixel primary camera and a 5MP secondary camera. It houses 3780mah battery. The EMAX comes with 16GB of inbuilt storage and is 7.9mm thick. It is a DUAL SIM smartphone with 4G LTE connectivity. You can buy it at INR 8990. Lenovo Vibe K5 A6020a40 features a 5.0inch 720 x 1280 pixels IPS display. It draws the strength from 1.4 GHZ Octa-core CPU and 2GB of RAM. It is equipped a 13MP rear cam and a 5 Megapixel front camera for selfies. It has 2750mah battery. The Vibe K5 A6020a40 comes with 16 Gigs of ROM and is 8 mm thick. It is a DUAL SIM smartphone with 4G LTE connectivity. It is priced at RS 6999.